I do that also. Nothing beats working for your treats. Loving the dance moves Mr. K!! :-D I say, "whatever brings in the goodies...do it!" ;-D Hehehe, have a great Wednesday! Love your dog!! GREAT picture. Absolutely Mr. K has what it takes....and more! Mr. K, you are so talented! If you ever get tired of being a blog star, you can definitely be the next Ballet sensation! Great tricks you do. What is your favorite treat? Happy WW! Impressive trick! Hope it was a good treat! Very talented! 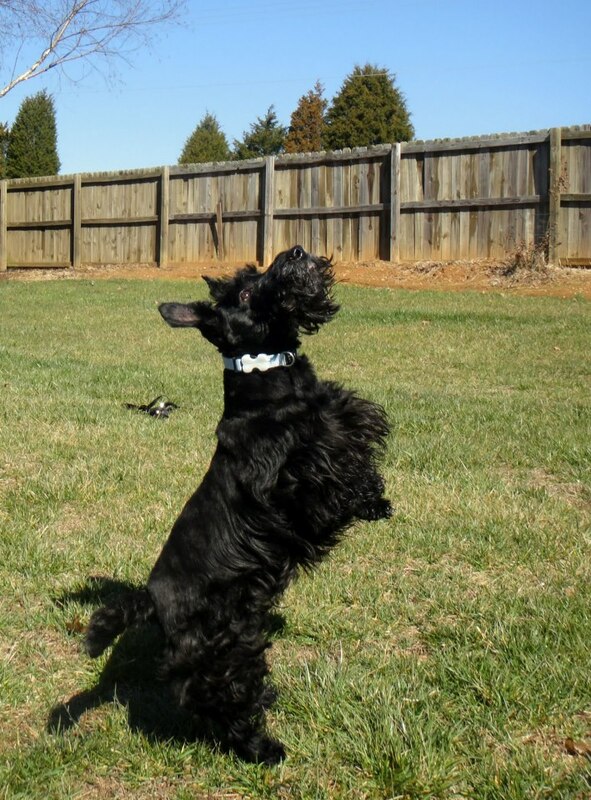 I would definitely watch a performance by the Scottish Terrier Ballet Company! So fancy there! :) If only he could get those paws above his head, ha! He definitely has talent. That's a lovely photo! I think Mr. K has a good chance with those great moves! Visit our blog to get a chance to win a great prize from Pedigree for both pups and humans! We think he has what it takes! Keep on dancing Mr. K! Oh its the sit pretty! I taught Kirby this aswell, but he definetly doesn't do it with as much grace as you! What a handsome boy! Very impressive form! This is great. Kirby is the same way... hold up a treat and he'll go through his ENTIRE REPERTOIRE (sit; down; sit; shake; high five; down; rollover!) in hopes of landing the right answer! Do what I do, just bring them home, love them up, your spouse will come around once they meet them. Just think of the good you are doing, you are giving a Scot, that was other wise thrown out by the curb like trash, a chance to know what it is like to be loved by someone, be part of a family, to sleep in an actuall bed. Yes, It is hard to pass them along to someone else when the time comes, but it is wonderful to know you had a part in changing a Scots life and it's not about us, it is about a second chance for a little scottie dog. Remember it is always best to ask for forgiveness than permission.